Looking for a spacious, 3-row SUV with capable performance specs, optional all-wheel drive (AWD), and an abundance of cargo space? Living on a budget? Then come check out the used Chevrolet Traverse SUVs right now at Stingray Chevrolet, your certified Plant City Chevy dealer serving families in Lakeland. The used Chevy Traverse is also offered with a wide range of features, including recent model years with features like Chevy MyLink infotainment, portable Wi-Fi, and heated leather seats. Stop in for a test drive after valuing your trade online. Got questions? Give us a call at (813) 359-5000! 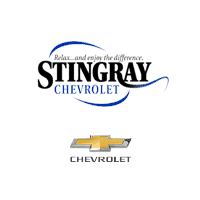 At Stingray Chevrolet, we make it as easy as possible for you to get behind the wheel of the vehicle of your choice. Work with our financing team to find the right option for you, or buy your car online with Joydrive! Not sure what you’re looking for yet? Make sure to check out the great deals going on in our offers and incentives, compare the Chevy Traverse vs. GMC Acadia, or take the trip from Brandon to our dealership in Plant City to tour and test drive a variety of models.